​Nickelodeon: The Hottest Toys this Holiday! ​Nickelodeon will be releasing hundreds of new toys this year for the holiday season. All toys are in respect to Nickelodeon’s most popular children’s shows: Teenage Mutant Ninja Turtles, Paw Patrol, Blaze, Shimmer and Shine, and SpongeBob. From fun bedding and yoga mats to a life size motorized wagon; these toys will make great gifts during the holiday season! Teenage Mutant Ninja Turtles toys include: a waffle maker, a pizza maker, a lunchbox, a backpack, pajama sets, underwear, snow boots, slippers, action figures, a sleeping bag, a yoga mat with yoga poses printed on it, apparel for both boys and girls, stuffed animals, coloring books, a life-size motorized “party wagon”, X-Box games, mini car race tracks, puffer coats, holiday home decorations, a guitar, a slide, a bike and much more. The highlight of the collection is a Michelangelo figurine that skateboards on its own. 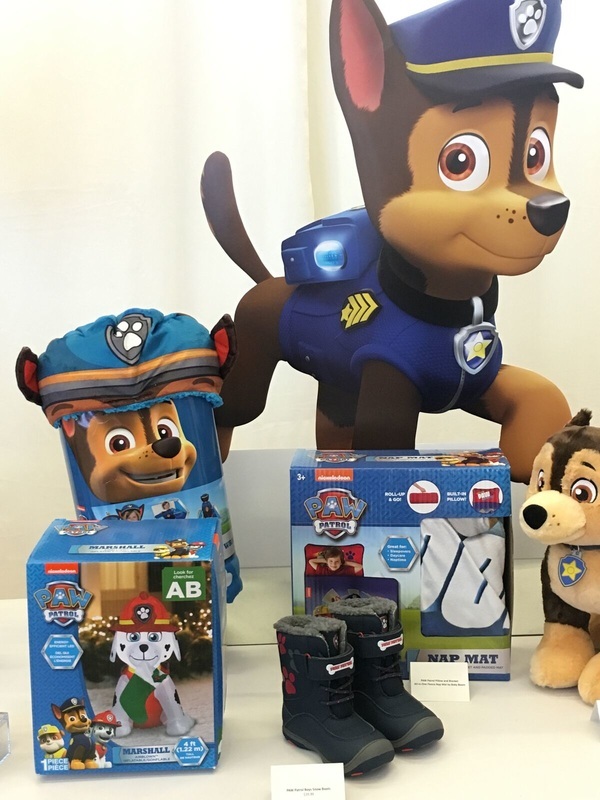 Paw Patrol toys include: an art set, a backpack, life-size stuffed animals, slippers, snow boots, a sleeping bag, holiday home decorations, a singing snow globe, interactive game toys, a ukulele, a piano, apparel for both boys and girls, books, bedding, a yoga mat with yoga poses printed on it, a bike, pillows, bedding and more. Skye has an extended line of toys that are pink and more girl-focused as well. Blaze toys include: car character figurines, books, stuffed animals, shoes, thermoses, a dinnerware set, interactive toys, a toddler table and chair set, a wooden multi-bin toy organizer, pajamas, bedding and more. The highlight of the collection is a Blaze racetrack that you can customize. Shimmer and Shine toys include: Nahal and Tala stuffed animals, Shimmer and Shine interactive dolls, miniature play figurines, a “magic” lamp, bedding, a microphone set, coloring books, painting sets, art/craft sets, thermoses, books, clip on Shimmer and Shine ponytails, dress-up clothes and accessories, slippers, a lunchbox, a backpack, a purse and more. There is also a Shimmer and Shine party set that includes a piñata, a tablecloth, paper napkins, paper plates and cups. SpongeBob toys include: stuffed animals, a “SpongeBob and Patrick warriors” set, a make-your-own pillow set, a Krusty Krab Kastle, miniature cars, a “Bulid-A-Bob” life-size toy, emoji stickers and more. SpongeBob adult coloring books will also be available. In addition to the new and exciting toys and gifts, a variety of adorable stocking stuffers will be debuting as well. There will be electric toothbrushes, lipgloss, Pez, mini books, jewelry and more. Keep your eyes peeled in toy stores this holiday season for these fun new toys!